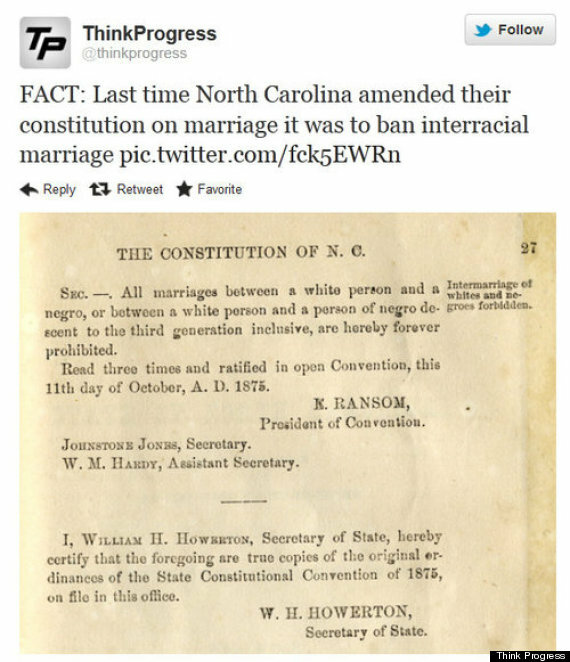 But 63% North Carolinian voters apparently needed to make a powerful statement to the sinful, evil world of tolerance: “don’t include us.” Sound familiar? A southern state rejecting humanistic values? 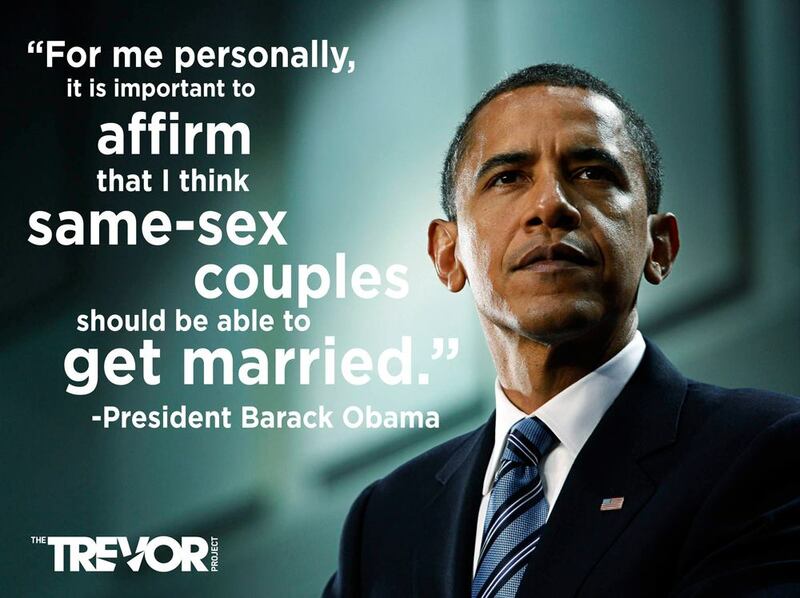 The only good news on May 9th was that President Barack Obama, having been kicked in the proverbial keester by his own V.P., got off the fence and told us that he personally and spiritually now accepts the appropriateness of marriage equality. Many Americans are concerned about how polarized our culture and politics have become. Nowhere is that divide greater or more evident than in the halls of the U.S. Congress. On Tuesday, a bill before the Senate that would have stopped student loan interest rates from doubling in the coming months, failed to pass because Democrats and Republicans couldn’t agree on where the money to cover the bill’s cost should come from. Democrats wanted to pay for it by closing loopholes in payroll taxes; Republicans wanted to take the money out of preventive health care programs. Who needs good health if you have money? The vote in North Carolina and President Obama’s statement supporting gay marriage may appear to be indicative of a nation is this being dangerously divided by values and culture. I for one am not afraid of this polarization. And while I would hope that my elected representatives in government will always have the will and the maturity to know how and when to compromise to keep government operating and serving the needs of the nation, I think we’re long overdue for a definitive showdown. If compromise and moderation are off the table, I stand shoulder to shoulder, or should I say, nose to nose with Richard Mourdock in saying no thank you to civility and collegiality. I’ll take my chances with confrontation. Those who courageously want us to move forward socially and culturally and those who still idealize the exclusionary white-conservative-Christian dominated society that was America, circa 1950’s. America is long overdue for a showdown between 3 groups of people, two of whom are natural allies: social conservatives who have no doubt that their values are the same as Jesus and the secularists and religious moderates who have the common-sense smarts to know that societies and YES, even religions, must evolve based on need, circumstance and the ever-growing wisdom of humanity. Our nation is composed of different strata of people trying to live in harmony with one another in: neighborhoods, towns, cities, states and the nation as a whole. Each strata of our society affords us an opportunity to share resources and address common needs. Some Americans recognize and respect their responsibilities to one another; many American do not. That may be a simplistic definition of the liberal and conservative divide but when it comes to social issues and politics, that explanation of our polarized positions is as good as any. It’s a “we” versus “me” mentality that divides Americans today as profoundly as any international border separates two nations. BTW, much of the anger and frustration you may sense in this column was in part inspired by this video which has gone viral in recent days. It speaks volumes about the social and cultural divide in this country. It speaks volumes about spiritual enlightenment, who in this country is really tuned into and sharing God’s love, and the profound stupidity and bigotry of many Americans.